If you truly want to be healthy, hold yourself accountable. You may want to lose weight and get healthy because “you’re doing it for your kids”, you mother or father keeps hassling you about it, your spouse is getting on your case, people make fun of you or maybe your doctor told you it’s time to get serious about taking care of your health. Whatever the reason, none of it, and I mean NONE of it will have any effect on you until you truly want it for yourself. Typically, the only outside influence that really works is a near death experience or coming home from your doctor with truly bad news. So, the motivation must come from within. My biggest obstacles with my health challenges are holding myself accountable. Anyone that knows me knows I love to eat. I love flavor, I love fun and I love to fill up. When I’m hanging out with my friends, we like to eat and enjoy things Big Time. So, I have to make sure I fill up on flavorful foods that are healthful for me. But as much as my conscious mind wants to do it, those little food demons inside my head keep trying to push me towards the dark side. Maybe this happens to you too. So, I need to take it to the next level. I need to step up my game when it comes to keeping myself on track. I’ve found that for me, it’s easier to stay on purpose with my eating and exercise if I’m reading and learning about it. There’s always new science, new articles and new technology, but I can’t be reading and learning 24-7-365…so what is my alternative? 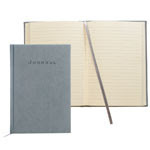 The best way to hold yourself accountable for your eating and your exercise is to start a journal. Go to the local store, purchase one of those black & white writing tablets and start keeping track of what you eat, when you eat it, how much you ate and how it was prepared. Also write down what exercise you’ve done for the day and continue this daily. If you write things down in your “health journal” or “weight loss journal” you’ll be holding yourself accountable and you will make better choices because, well, you don’t want to disappoint yourself and have to write something bad in your journal. So, take your health to the next level and journal your meals and your exercise. Holding yourself accountable just may be the motivation you need to stick with it this time and be successful. Summer is here and I know you want to look and feel good in that bathing suit…. 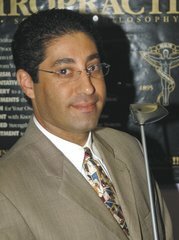 Dr. Narson is a 2-term past president of the Florida Chiropractic Association’s Council on Sports Injuries, Physical Fitness & Rehabilitation and was honored as the recipient of the coveted Chiropractic Sports Physician of the Year Award in 1999-2000. 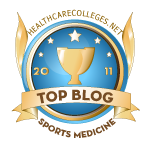 He is a Diplomate of the American Chiropractic Board of Sports Physicians. He practices in Miami Beach, Florida at the Miami Beach Family & Sports Chiropractic Center; A Facility for Natural Sports Medicine.